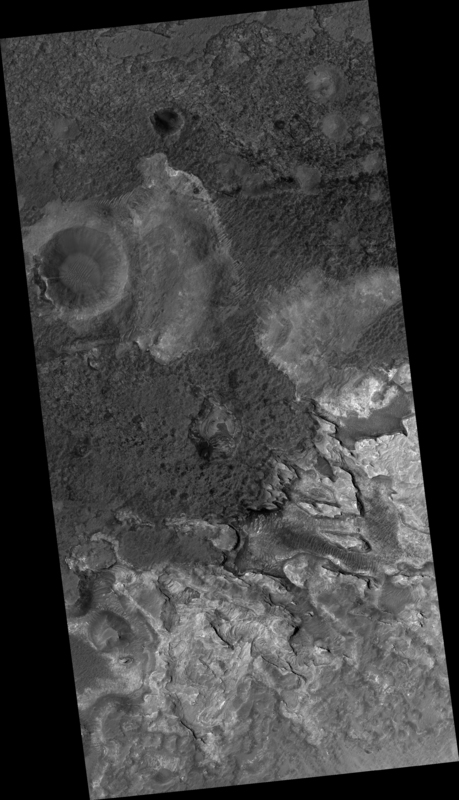 Much of Mars' surface is covered by fine-grained materials that hide the bedrock, but elsewhere, such as in this scene, the bedrock is well exposed (except where covered by sand dunes). 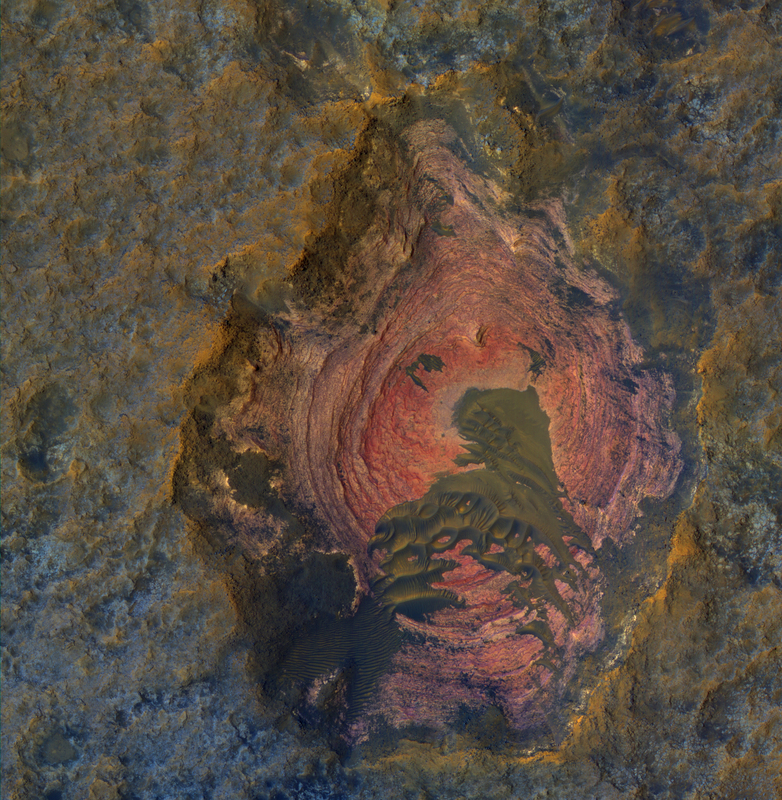 Colors are enhanced in the cutout of a pit exposing reddish layers. 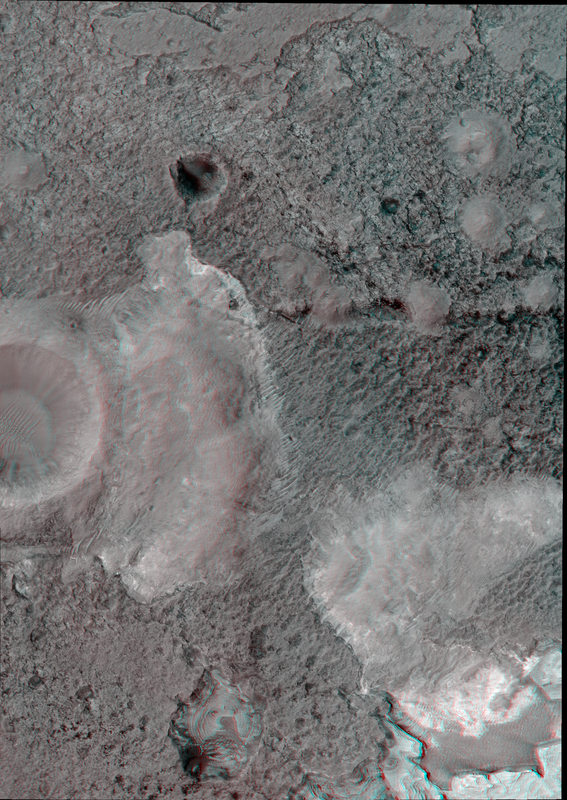 This is part of a stereo pair, so check out the stereo anaglyph for a 3D view. This is a stereo pair with ESP_039581_1520. The map is projected here at a scale of 25 centimeters (9.8 inches) per pixel. [The original image scale is 26.7 centimeters (10.5 inches) per pixel (with 1 x 1 binning); objects on the order of 80 centimeters (31.5 inches) across are resolved.] North is up.